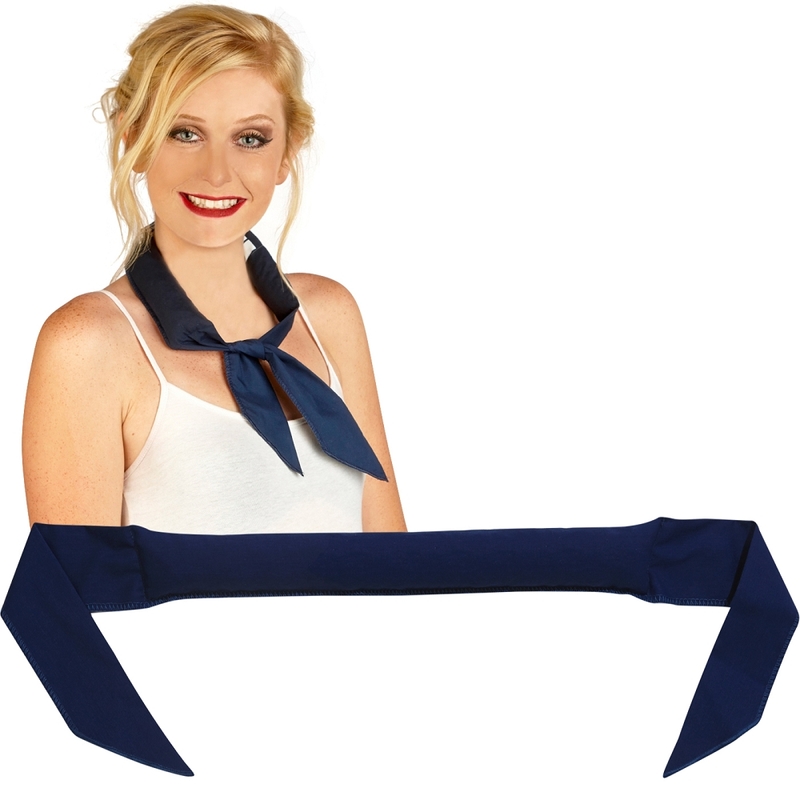 helps you stay cool by wearing around your neck. as you apply to your skin evaporative cooling takes place that's allowing evaporation onto your skin helping you cool down from being overheated from being in hot temperatures or after a walk, workout, job task or when just outside working around the house during the spring or summer months when the outside air temperatures can be above the normal weather temperatures. this is a great cooling product for workers that work outdoors during a high temperature heat wave when mandatory water, rest shade breaks are necessary for workers that work in the construction or farming industry. by using this cooling product your helping prevent a heat illness or even a heat stroke when exposed to extreme weather high temperature summer heat. use this chill factor performance cool neck wear cooling product at a game, picnic, golf course, fishing trip, rodeo, camping trip,tennis court, football practice or while tailgating to help keep you and your teams, partners, friends and family's cooler making a more enjoyable outing .THESE COOLNECKWEAR COOLING PRODUCTS ARE REUSABLE AND CAN BE AFTER THIS CHILL FACTOR PERFORMANCE COOLING PRODUCT IS ACTIVATED OUR NECK COOLERS WILL ALWAYS BE 20F/5C COOLER THEN THE OUTSIDE AIR TEMPERATURE BEFORE using any ICE OR Refrigeration. THIS COOLNECKWEAR COOLING PRODUCT IS ON navy COTTON MIX MATERIAL SO IT COOLS YOU LONGER THEN POLYESTER OVERSEAS KNOCK OFFS AND COOLING TOWELS MADE FROM WOVEN MICROFIBER MATERIALS THAT CAN'T GET AS COLD AS THE WATER THAT'S ABSORBED INSIDE THIS CHILL FACTOR PERFORMANCE PRODUCT. INSIDE IS A BIODEGRADABLE SUPER ABSORBENT WATER POLYMER THAT'S NON-TOXIC THAT HELPS HOLDS TEMPERATURES FOR EXTENDED PERIODS THAT'S EASY TO USE AND CAN BE USED DAILY.